Paul Weller’s Note To Paul McCartney Up For Sale! – Paul Weller News! Paul Weller’s Note To Paul McCartney Up For Sale! 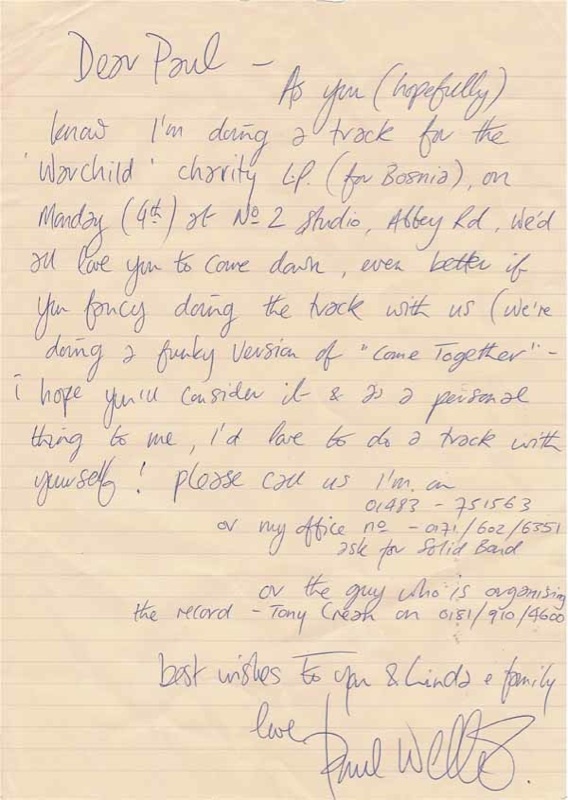 This letter Paul wrote to Sir Paul McCartney asking him to come down and play on the cover of The Beatles’ “Come Together” for the War Child album in 1995 is on Ebay. It is being sold by Paolo Hewitt from his personal collection. You can view it HERE. Previous Entry Pictures From Paul Weller’s Gig In Dundee! Next Entry Paul Weller In Halifax – Set List!